Blue B 15. Those words have been etched in my memory since I was fifteen years of age. They refer to an area in the Phoenix Park where I spent a few hours on Saturday, 29 September, 1979. 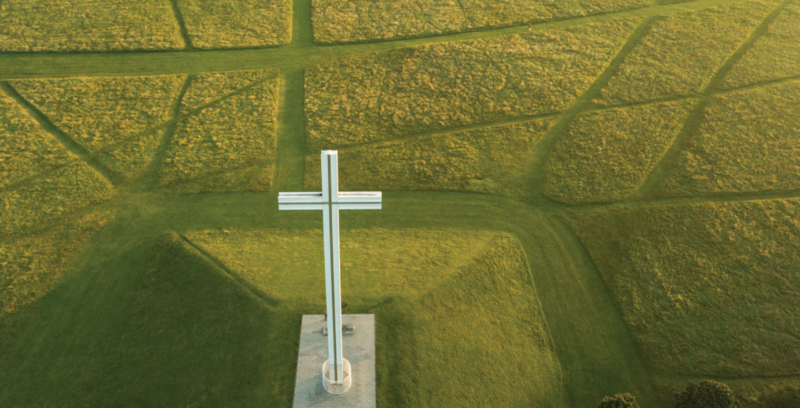 It was just one area of very many, marked out to accommodate a crowd of almost 1.3 million people who had gathered for Mass with Pope John Paul II. At fifteen, I was too young to appreciate the significance of the event. Back then, what struck me most was the sheer size of the crowd; and I can still hear John Paul’s voice coming in stages, first from the nearest speakers, then, a moment later, from the next nearest, then from the next. The Pope arrived in Dublin airport, and after being greeted there by President Patrick Hillery, he came to the Phoenix Park by helicopter. We were told that his plane had landed in Dublin, and that he would be with us shortly. The wait seemed like an eternity. There was something joyfully surreal about it all. It’s easy, perhaps, to look back and accuse ourselves of having been naïve in our enthusiasm. But during those heady days in the autumn of 1979, who could have anticipated what lay ahead for the Irish Church? Almost 40 years on, we’ve come to know ourselves better, and it has at times been a hard and humiliating acquaintance. And now, Pope Francis is to visit us, on the occasion of the World Meeting of Families in August. The joy and enthusiasm that will undoubtedly mark the Pope’s visit may be a little more restrained, a little more self-conscious. But we will have a realism, clarity and perspective that we did not have in 1979. My own hopes for the visit of Pope Francis are summed up in the first three paragraphs of Evangelii Gaudium. There, the Pope describes the task facing us, the obstacle, and the solution. The task is ‘a new chapter of evangelisation marked by joy.’ The obstacle is ‘desolation and anguish.’ The solution is ‘a renewed personal encounter with Jesus Christ.’ I hope that the World Meeting of Families and the visit of Francis will help to make it clearer than ever that our task is precisely evangelisation. Anything that helps us in this is to be cherished and fostered; anything that hinders – be it attitudes, institutional commitments, or whatever – needs to be trustfully let go of. May the forthcoming visit of Pope Francis help the Irish Church to make this prayer from the heart.